Like many others her age, she suffers from high blood pressure and osteoarthritis. She also has gout, an inflammatory condition that affects one in 40 adults in the UK and is on the rise. The urate crystals that form as a result of gout cause swelling, discolouration and pain in her feet, leaving her frustrated – and wishing for a larger variety of shoes to make walking a little easier. And as she gets older, the symptoms worsen, impacting her mobility. Which means that, eventually, they will affect her ability to get around on her own and be independent of her husband and children – slowly making her world smaller and smaller. Jan’s concerns mirror those of many patients. Her doctors could be more supportive, more interested in helping her, they could recommend more treatment options… A lack of knowledge and skills about treating her condition, and clinging onto the identity of healthcare provider, could both explain her doctors’ behaviour. But digging a little deeper, we also see that Jan’s goals for treatment and those of her doctors are misaligned. Being mobile and independent is important to Jan, and she deems it key to be able to enjoy her life. And so, unsurprisingly, she expects her treatment to help her do just that – control her condition, minimising the number of gout episodes and offering her a near-to-normal life with little to no pain on her feet. Doctors’ goals, on the other hand, seem to be lower. “Keep doing what you are doing”, they tell Jan when she complains about her pain, continuing to prescribe the same treatment. Possibly because of her age, because of the other conditions she is affected by, and even possibly because of a lack of belief in current treatments, there seems to be a universal acceptance that there is very little they can do beyond what they are currently doing; so no need to try harder. Could these low goals for treatment, alongside the hard-to-shift perception of gout, mean that doctors are not motivated to change their behaviour? Could this be the biggest barrier to improving Jan’s care? How do we drive change? Changing beliefs is not easy, and other barriers at play here (eg lack of time for consultations, prescribing errors) likely complicate matters further. But there is more we can do. 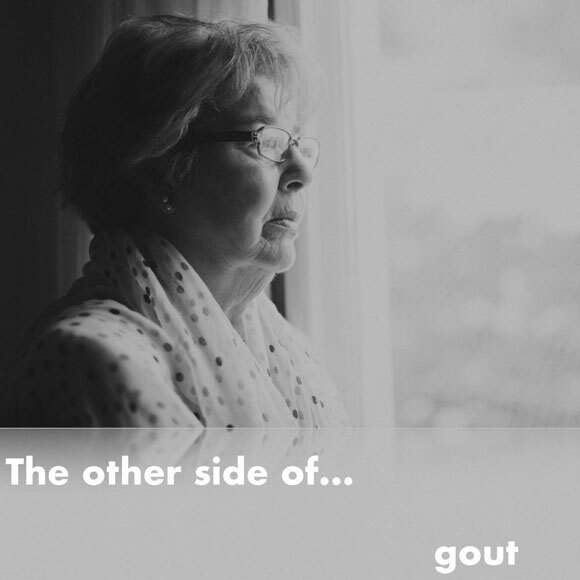 By making tangible the consequences of gout on patients like Jan, while illustrating what is possible when patients are treated to target, we can work to shift beliefs and increase motivation to improve care and set more ambitious goals for treatment outcomes. At the same time, empowering patients like Jan, through education and active tools that build confidence, is integral to ensure effective communication and the setting of realistic (and shared) goals of treatment.